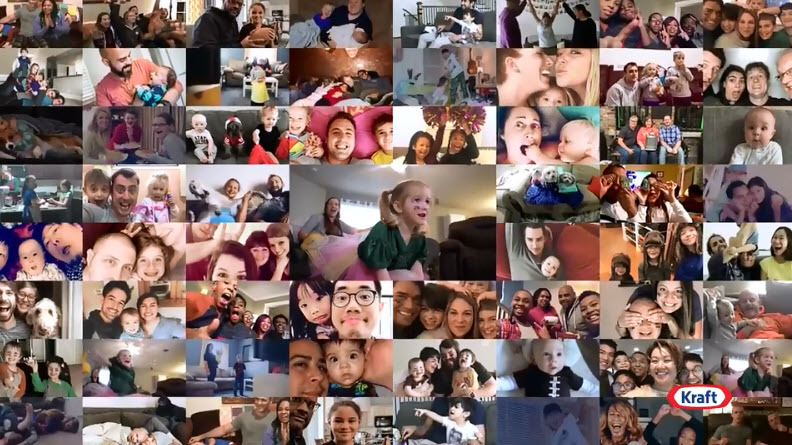 Kraft is looking for your family photos to include in its first-ever Big Game Super Bowl ad. Kraft has never made an ad appearance in the Super Bowl and will making their debut this year, the company announced. On Sunday night, Kraft’s commercial is reserved for the people like you – actual non-celebrity, non-famous, non-reality show families. Get ready to share a photo or video of “how you game day” and you might see yourself and your family featured in the Kraft Super Bowl ad. A few lucky winners to be included in the commercial, which will air during the second half of the Super Bowl LII on February 4. If you want your family photos to be considered, share them during Super Bowl Sunday between 6 am and 8:30 pm ET on Instagram or Twitter using the hashtag #FamilyGreatly and #KraftEntry for the chance to show your family to about 111 million people. Limit: One Photograph or Video per social handle. Your account settings must be set to “unprotected” and/or “public” in order for your Tweets/posts to be viewable by Sponsor and its agents. Your photo doesn’t have to be perfect to be great. Try to avoid showing brand names or logos. No need to show Kraft products. Keep it simple and focus on just a few people. All Families: how you define family Kraft is open to any and all. Be ready to respond quickly to a possible reply from us on social media. Note: If you are chosen, you will most likely be contacted ahead of time by Kraft asking your permission to use your images and videos so make sure your Twitter and Instagram accounts are set to public and not private. There is no prize associated with this Program other than appearing in the Commercial, which has no dollar value. The appearance of Kraft brands in the photo or video will have no effect on selection to appear in the Commercial. Selection of Photographs/Videos will be based on originality and creativity.